Most of my friends now go to Pius Senior College, but my mother wouldn’t allow it because she says the girls there leave with limited options and she didn’t bring me up to have limitations placed upon me. If you know my mother, you’ll sense there’s an irony there, based on the fact that she is the Queen of the Limitation Placers in my life. Francesca battles her mother, Mia, constantly over what’s best for her. 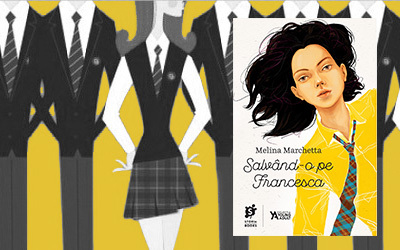 All Francesca wants is her old friends and her old school, but instead Mia sends her to St. Sebastian’s, an all-boys’ school that has just opened its doors to girls. Now Francesca’s surrounded by hundreds of boys, with only a few other girls for company. All of them weirdos—or worse. Then one day, Mia is too depressed to get out of bed. One day turns into months, and as her family begins to fall apart, Francesca realizes that without her mother’s high spirits, she hardly knows who she is. But she doesn’t yet realize that she’s more like Mia than she thinks. With a little unlikely help from St. Sebastian’s, she just might be able to save her family, her friends, and—especially—herself. A moment of truth: I’ve felt depressed – on and off, in a way or another – my entire life. Not like Mia, but I had my share of sad moments, my ‘down’ moments, some kind of sorrow that seemed to linger at the edges of my consciousness. I don’t remember myself “before” (maybe I was even born this way, lol), but I fought hard for all the happiness in my life, I fought even harder to keep that feeling. Deep down I still keep fighting – sometimes it’s easy as pie, sometimes it’s incredibly hard. I’ve started reading YA books around 8 years ago because I needed some balance, I needed a happy place, I needed to feel all range of emotions, to charge my brain with gleeful thoughts, I needed to be invaded by happy hormones and to keep the “gloomy” ones at bay. I could pour some psychological explanation into my choice of books just as well, but that’s besides the point here. What I am trying to say is that I can resonate with this story, with these characters, with the ups and the downs they go through, with their hopes and their disappointments. I don’t know, Melina Marchetta always gets to my heart through her stories, in a way that other authors never can, never will. When I read this book back in 2011 it angered me how no one tried to help Mia, actually so much that I disliked it a bit and misunderstood the whole story, but to be honest this book says a lot about how things work in real life. With the good and the bad. And now that I also stepped back from the love story and I focused on everything else, I could understand it so much better. This book is about family and friendship, but most of all it’s a story about depression, in various forms. It’s not just Mia suffering, though her story is the most complex one and it breaks my heart to even think about her, it’s Francesca too. All her life Francesca seems to have been trying to be someone the others wanted her to be: her mother wanted her to be strong and independednt, her friends wanted her to be tamed, to be more like them, the teachers always wanted the opposite of what she showed – every person in her life seemed to want a different kind of Francesca and no one seemed to like her for herself, and this happens with so many teenagers out there. When her mother got ‘sick’ and Francesca started putting things together, it scared her to think that somehow she might be slowly stepping into her mother’s shoes. But they fight different kinds of depressions: one born from shattering grief, another born from all the above and maybe something more. This book is about the need to connect. About friendship. About finding those people who enjoy your company without needing to change you one bit. About a group of people who seem completely incompatible, but slowly get to make ties that can not be undone. It’s about teenage friendships, those that feel like they’ll last for a lifetime (and some do), about needing to be understood, about being young and naive and having fun and forgetting all the rest for (at least just) a moment. This book is about finding yourself. You play so many different roles with each person in your life, it is hard to know which one is YOU at the end of the day. Under all those layers and masks, under all that fear to reveal yourself, under all that pressure to show what people want you to show them.. what do you even look like, who are you deep inside? This is a story about testing limits, about breaking rules, about feeling free, about heartbreaks and first loves and everything in between. This could be a story about me. And you. And you too, over there! This is a story about all those who need saving. 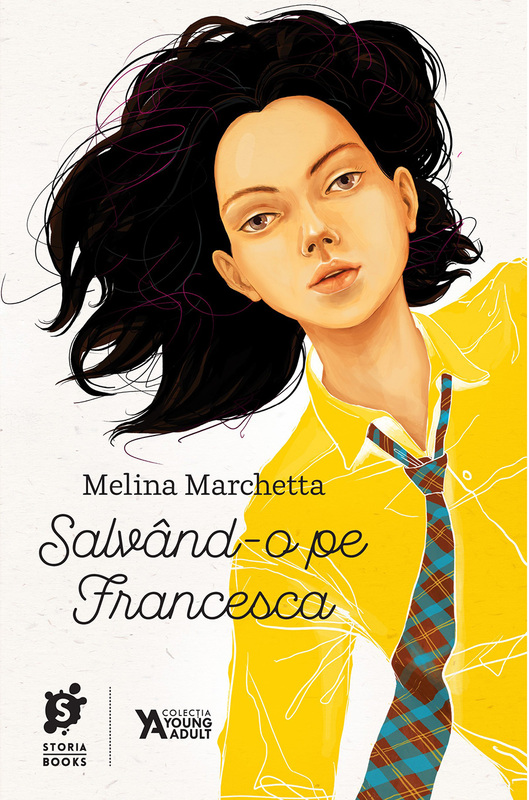 Thank you, Storia Books, for translating this story in Romanian! Lol, my name says Liseth and that looks so weird. Let’s pretend it says Lis. My mother used to call me lovingly Lizbeth for some reason, on some occasions as a child. And I like Liseth just as much, though Lis & Ari sounds like a good team anyways, ha ha (of should I say ja ja). Same here, I don’t know when things will get back to what used to be normal, but I can’t wait for that moment :)) nnYour timing is good, as the author is writing the 3rd companion novel right now (from my favourite character I might add), so you can read them all if you want 🙂 nThey are not as emotional as Jellicoe or Lumatere, but they tackle some powerful subjects – depression in this one and grieve in the next one (The Piper’s Son) – the characters are lovely and the writing is just as beautiful as before.